Neil is a Registered Occupational Psychologist with over ten years experience in both industry and consultancy. 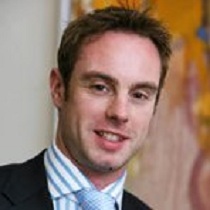 Neil founded O’Brien Consulting Business Psychologists in 2009 and, since then has consulted to a wide number of public and private service clients in both Ireland and the UK. Neil also delivers outplacement and business coaching services to private individuals. Prior to setting up O’Brien Consulting, Neil spent 2 years as a Business Psychology Consultant with Pearn Kandola in their Dublin practice. Through his work at Pearn Kandola, Neil was involved with a range of projects including assessment, management development, coaching, organisational development, counselling and training. Before Pearn Kandola, Neil spent 3 years with PricewaterhouseCoopers in Sydney and Dublin. Neil was senior manager within Learning and Development and was responsible for introducing a number of initiatives that sought to identify and accelerate the development of high potentials within the firm. Neil has also spent 4 years with SHL Occupational Psychologists in both Dublin and Sydney. Through his work at SHL, Neil was involved in a wide range of assessment and development initiatives with both public and private sector clients.